Vehicle production in Brazil will this year be below domestic sales for the first time since 1995. This is the result of the country importing more units than it exported due largely to the strong Brazilian real. This year's output will be lower compared to 2008, but sales will be up year on year. This has not slowed announcements of new investments to boost local capacity, as VW did last week - the Brazilian subsidiary plans to spend US$3.5bn on its local plants up to 2014. 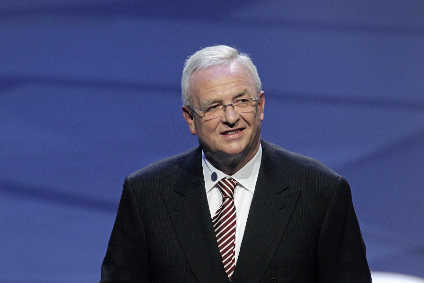 VW of Brazil CEO Thomas Schmall told just-auto that 60% would be spent on product development and 40% to boost output. "We are trusting in domestic market growth", he said. Local suppliers, too, are investing and the recent tyre supply bottleneck, for example, should soon be cleared. Pirelli world president Marco Tronchetti was here recently to announce plans to spend an extra $100m on top of a previously-approved $200m investment between 2009 and 2011. Michelin CEO Michael Rollier said in France, less than two weeks after Pirelli's announcement, that his firm's Brazilian auto tyre production would be tripled. The enlarging of the Resende (Rio de Janeiro state) manufacturing unit will be finished in 2013 though the actual investment was not revealed. There will also be investment in the large truck sector to ensure an adequate supply of vehicles to help build the new infrastructure needed in Brazil for major global sporting events scheduled for 2014 and 2016. Although headcount is not yet back to pre-crisis levels, several local automakers are re-hiring laid-off workers. In November alone, General Motors, Scania/MAN (formerly Volkswagen Truck and Bus), Mercedes-Benz and VW rehired 1,500 production staff. From July to October, 2,300 people were back at work. The autoparts industry has hired 8,300 workers since late June. In late October the sector accounted for 204,000 workers compared with 208,000 last December. A further, small increase is expected by the end of next month.